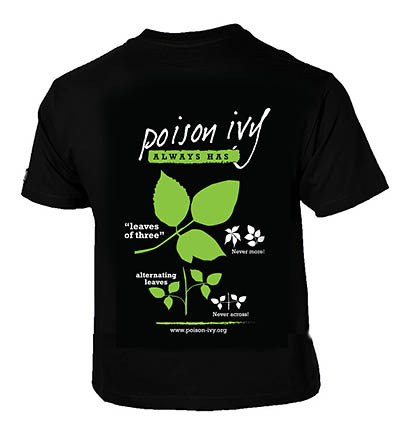 Most of our products are about eastern poison ivy, which is the biggest problem for the greatest number of people, but we are adding Pacific poison oak items, as that plant is the plague in California. 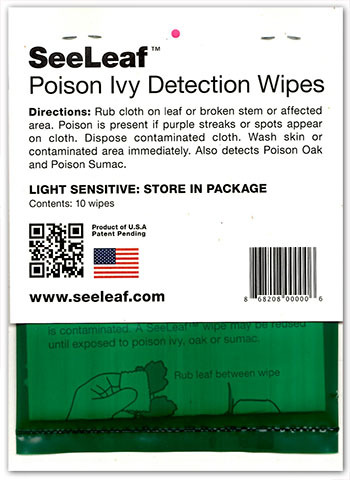 Send us a suggestion for a product you would like to buy. 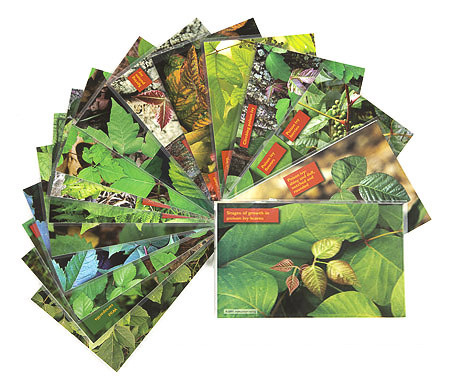 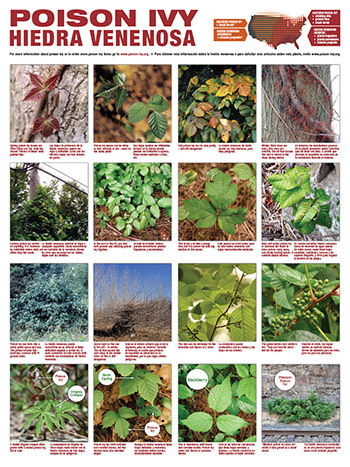 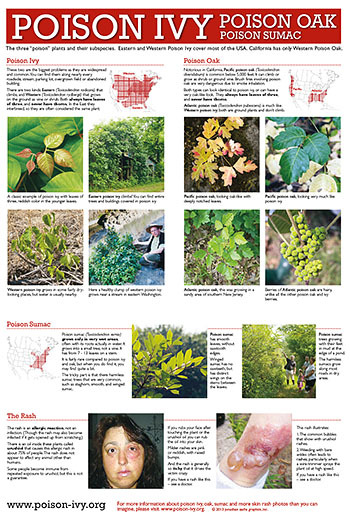 18"x24" laminated poster, 16 photos and detailed captions for Eastern poison ivy. 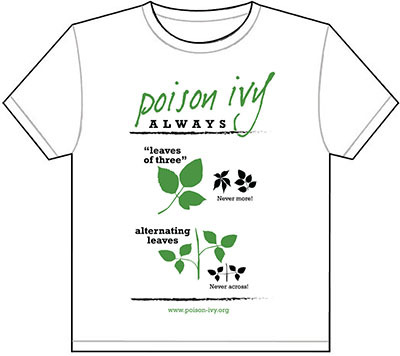 4x6 quality images of poison ivy at near life-size, made for carrying in the field. 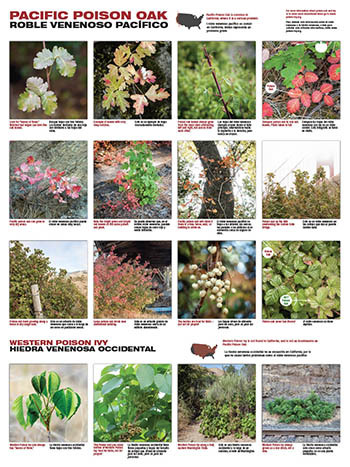 18"x24" laminated poster Spanish-English version of Eastern poison ivy. 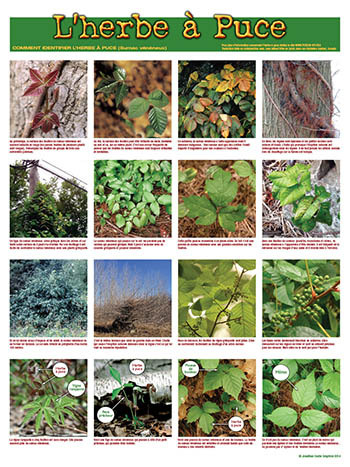 18"x24" laminated poster of Pacific poison oak, along with some Western poison ivy. 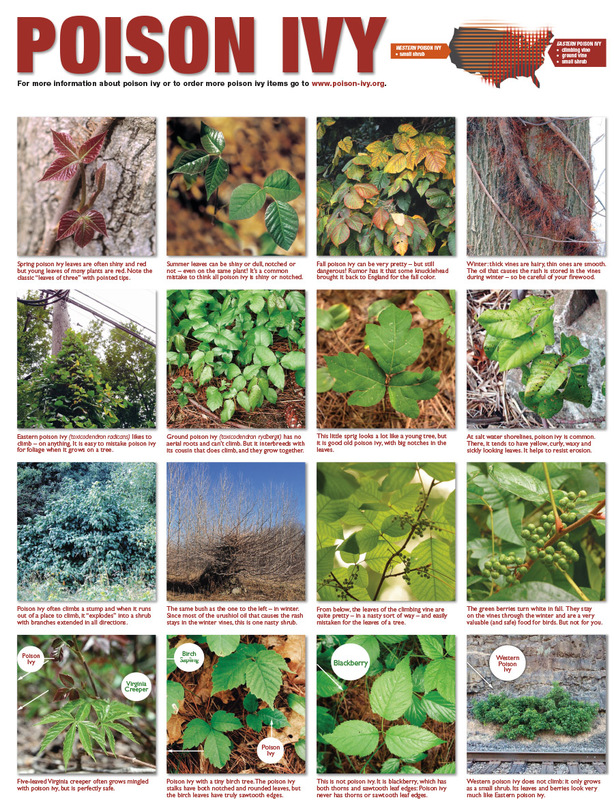 18"x24" laminated poison ivy poster, in French. 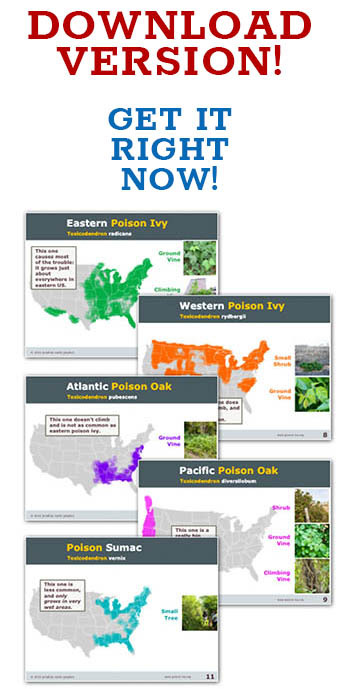 13"x19" non-laminated poster is meant for the entire United States. 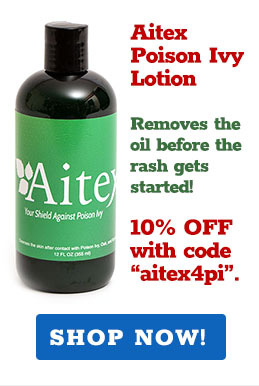 Breakthrough product DETECTS POISON IVY AND OAK! 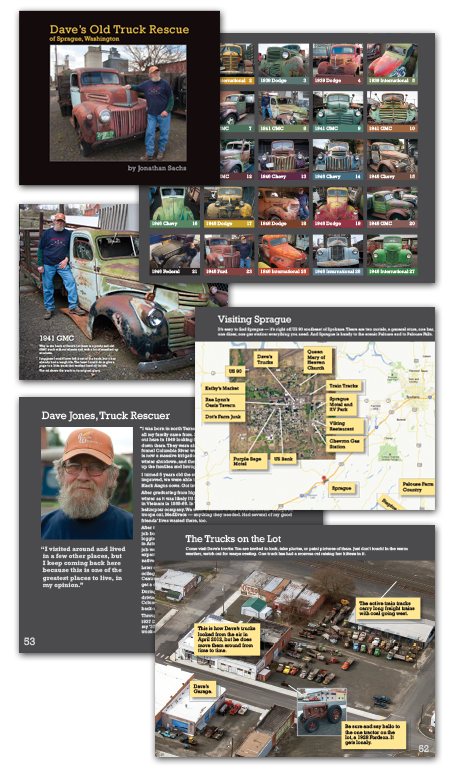 Another wacky item from the site publisher: a book about old trucks!